It's shocking to know that in some parts of India the male female ratio has dropped to such an alarming level that a noticeable number of marriageable guys are forced to live a life of bachelorhood due to the scarcity of women in their region. Yesterday I was watching Satyameva Jayate produced by Aamir Khan on YouTube where the first episode was based on female foeticide. I thought that infanticide in India is rooted only in the backward underprivileged section of the society, but it was a terrifying revelation that the people opting for female infanticide are mostly educated hailing from sound financial background. Years before I saw a movie called 'Matrubhoomi', the plot of which was based on a future dystopia in a village, located in Bihar, populated excessively by males owing to female foeticide practiced over the years. The condition led to a grim exploitation of women trafficked from other states and a single woman forcefully being married to multiple husbands. It was utterly disgusting to see how tragic and horrifying the social circumstances could turn out to be if an ill-practice like infanticide goes undeterred. In times like this when women have proven themselves to be no less than their male counterparts, I only can feel sorry for the warped psychology of those who consider girl child a curse. 1) Brown the chopped onions in smoking hot oil and then let them cool for few minutes. Grind them into a fine paste. Keep aside. 2) Heat oil in a wok. When oil turns hot, add garlic and shallow fry. Next, stir in the browned onion paste followed by yogurt. Mix well. 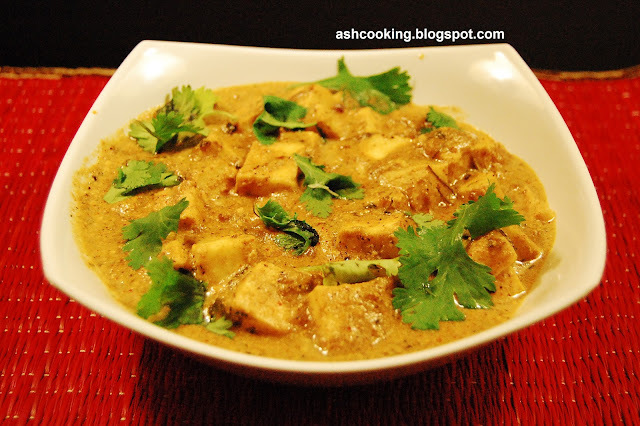 3) Add cashew nuts paste, coriander powder, cumin powder, black pepper powder, kashmiri mirch and salt. Combine and sauté for couple of minutes. 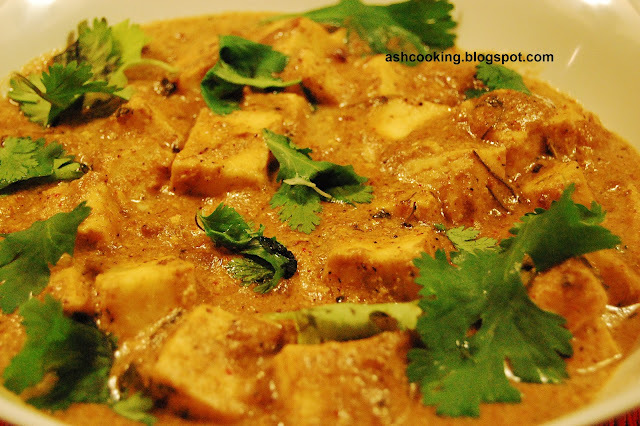 4) Now toss in the paneer and stir in to mix. 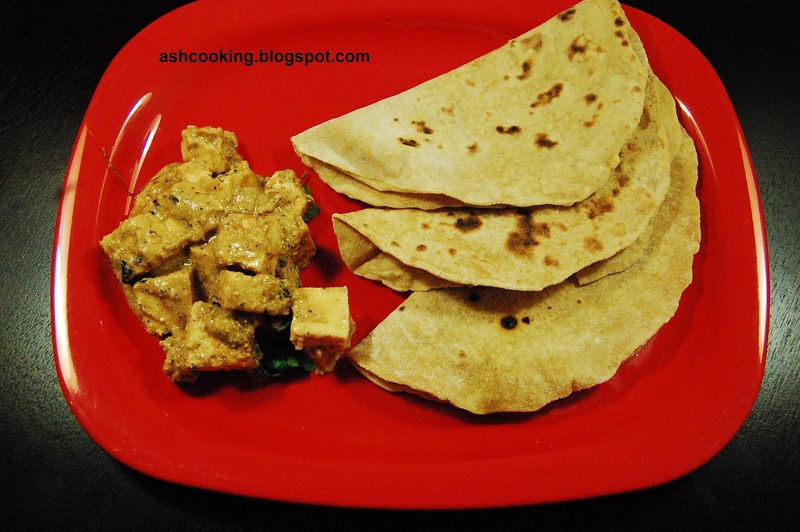 Cook paneer on medium heat for 2 minutes. Then add whipping cream and lemon juice. Combine. Finally, sprinkle the kasuri methi. Gently stir to mix in. 5) Garnish with coriander leaves. 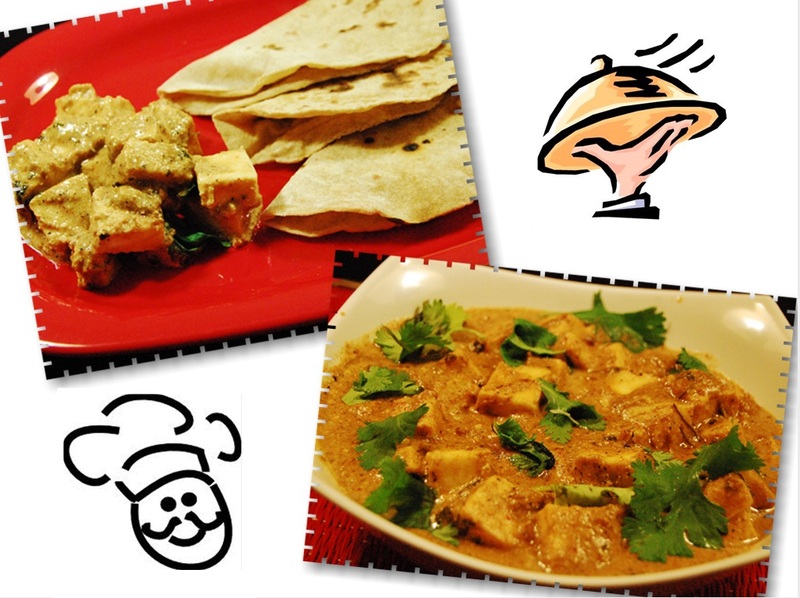 Serve hot with roti, chapati, naan or paratha.